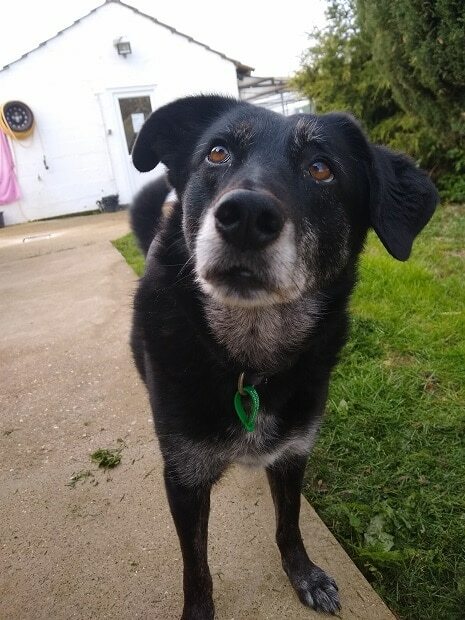 Sasha is a 7-year-old black and white Crossbreed, and Brie is her 3-year-old golden-coloured companion. 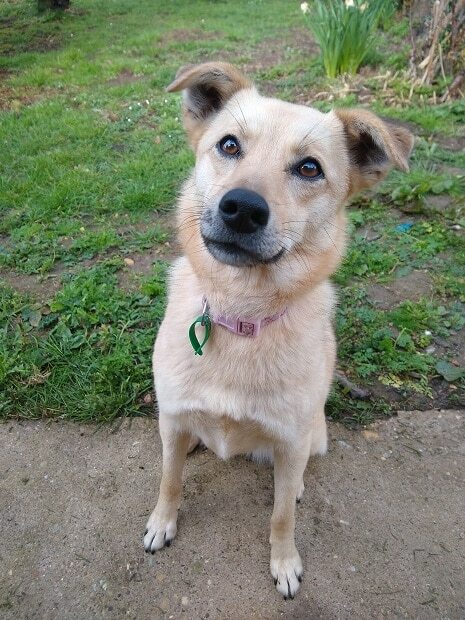 They are at Jerry Green Dog Rescue in Boston, South Lincolnshire, hoping to find a loving new home together. Sasha and Brie are a lovely pair of girls who can be a little timid initially, but they quickly become your friends with lots of cuddles. They are very reliant on one another and love to be around each other as they get on so well. They love following each other around and are often cuddled up together. These adorable girls are housetrained and travel very well. They are also happy to be left for short periods of time, up to 4 hours. Both walk very well on the lead and they love going out for walks. 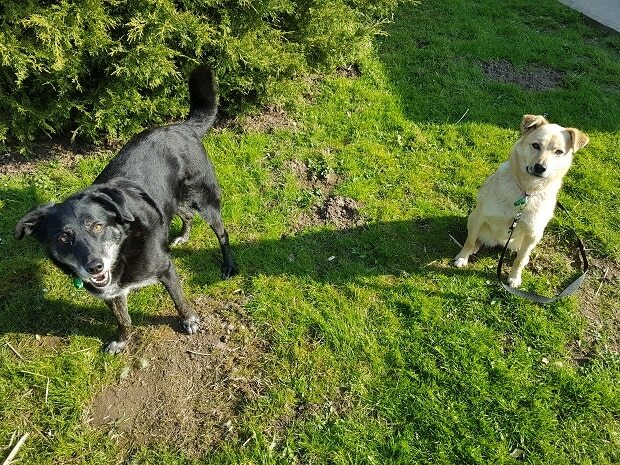 They are always happy meeting new dogs and they could potentially live with another calm dog in their new home. They could also potentially live with cats, pending a cat test. They would prefer a quieter home with no children. Sasha and Brie have no health issues and they are neutered. Please mention that you saw Sasha and Brie on the Oldies Club website.